Urs Peyer is the Dean of Master Programmes and an Associate Professor of Finance at INSEAD. 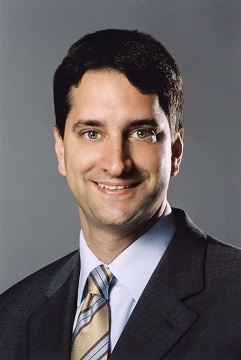 He holds a PhD in Finance from the Kenan-Flagler Business School, University of North Carolina, and a Lic.rer.pol. from the University of Berne. Peyer's research interests focus on corporate governance, executive compensation, empirical corporate finance, and share repurchases. He has published his research in the top finance and managerial journals. Recent publications include The Best-Performing CEOs in the World (Harvard Business Review), Lucky CEOs and Lucky Directors (Journal of Finance), and The CEOs Pay Slice (Journal of Financial Economics). Urs Peyer is teaching in INSEAD’s MBA, PhD and Executive Education programmes. He was a visiting faculty at the University of Chicago and at UNC’s Kenan-Flagler Business School. Previously, he has worked in the portfolio management team for a subsidiary of Credit Suisse and was a jet pilot in the Swiss Airforce.